I'm not positive, but isn't there some kind of tool in Photoshop that keeps pictures looking very true to the original when resized larger? i could do that but I am guessing you don't want squiggles from MSpaint? If so i need to see if i can borrow my friends PC with Photoshop on it, Cause then it won't be as hard as i thought. This is amazing! Come on though call it anything other than Palmer. My vote goes to Moogle or Mog. 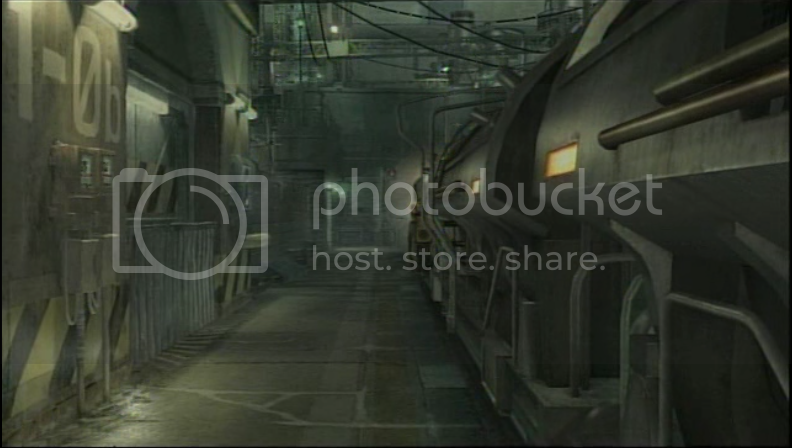 Soon will be able completely rebuild original FF7! Wow, Did you do this? That is amazing! Oh, i was about to praise we had someone to talented haha. xD if i'd made it myself i'd have added the extra bits you cant see in that pic that are present in the original one. theres a lot of stuff cut out of the top and bottom because of widescreen nowadays. that's why i was asking if adding it in is an option, since there isn't as much data as the original one, but it looks like it should encompass the entire 3D field. Hmm, well. guess we look into that photoshop option to see if it's possible? Seems there is a "Bicubic smoother" that can be used in Photoshop CS and above. Anyone have Photoshop to test this with? I dont see a tiny blur? Mind you mine is old version.....time to update! I see the blur, but it is WAY better then the old version, I think we are getting somewhere with this, Thanks a lot Myrt6re. I dont see a tiny blur? Awesome job, Guess that answers my previous statement. How long did it take to resize those? Maybe i can borrow my friends PC with photoshop, Or use GIMP to help you out. All is done in two seconds with a script. But we must have all backgrounds in a folder. I figured the others were in bicubic haha. Guess not, Though i think the blur is to add an AA effect to the image. Could be wrong. EDIT: The backgrounds default is 512 X 512? but the default of FF7 is 640 X 480 isn't it? EDIT: The backgrounds default is 512 X 512? but the default of FF7 is 640 X 380 isn't it? Yeah i'll just wait for Aali to release his tool haha. Leave the tech stuff the the pro's ya know? 1. Is missing a lot of little (and some big) things. 2. Won't produce 100% correct results anywhere. hopefully aali will allow the backgrounds to be auto saved as separate png/bmp files? Hey ,what about Ragnarok?Or Anastacia? Although, would it be better to make image sizes 1280 * 960? since thats the common (i think) size for playin FF7 at now. Or maybe 2048 * 2048? or are there technical limitations on that?